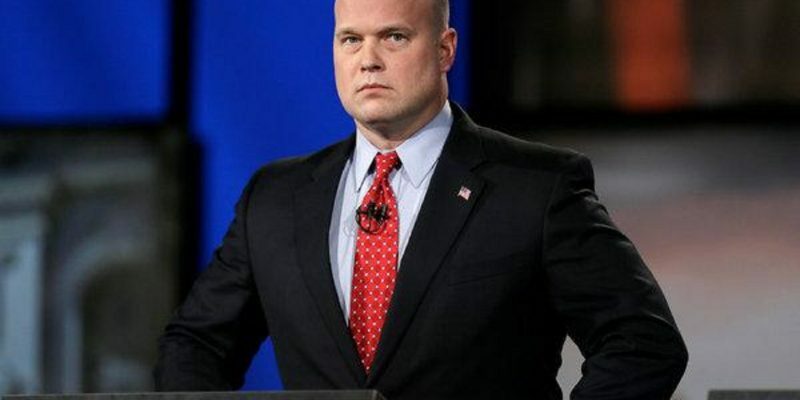 VIDEO: AG Whitaker to Dem Chairman: "Your 5 minutes are up"
(Washington, D.C.) – Democrats again attempted to make a mockery of a Trump appointee today but found themselves a worthy opponent in acting Attorney General Matthew Whitaker. Whitaker refused to “take the bait” at several moments during his testimony before the House Judiciary Committee today when Democratic Committee Members posed “gotcha questions”. Instead of answering the Chairman’s question, Whitaker pointed out that his time was up. The room then burst into gasps and laughter. It was far from the only tense moment of the day as the new Democrat majority took turns shooting for a solid soundbite. Matt Whitaker is astonishingly disrespectful. He's also way out of his league. Rep. Sheila Jackson Lee just put him in his place. Of course, we don’t hold it against him if he was trying to “run out the clock” and end the painful interrogation process sooner than later. Anti-gun Rep. Eric Swalwell (D-CA) tried to get the acting AG to vouch for the character of Special Counsel Robert Mueller and Whitaker refused, saying he is “not a puppet”. To summarize, Democrats argue that AG Matthew Whitaker was disrespectful and Republicans argue that Democrat members were rude and antagonistic. With nearly two years until the next election, the country should probably get used to more scenes like the partisan circus that we saw today. Republicans appear emboldened by Whitaker’s backbone much like they are by President Trump’s brazen politics, leading many to call for the acting AG to be made permanent.